For the summer 2018, we wanted to take the kids somewhere they could swim. We spent the previous summer holidays in Iceland. In our winter coats. 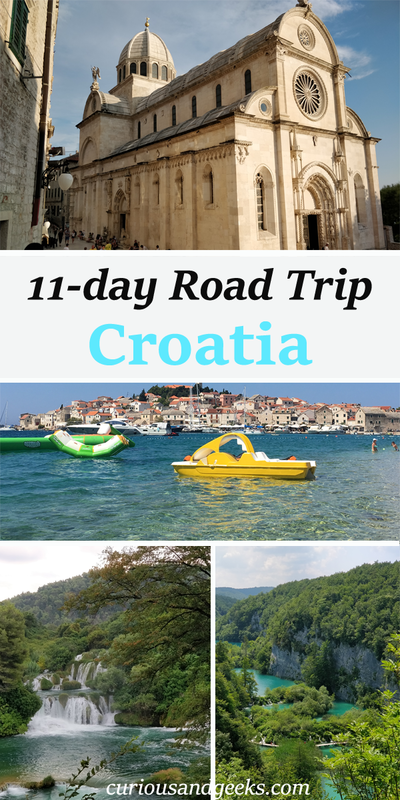 We chose to try Croatia with our kids as it was a great road trip destination. 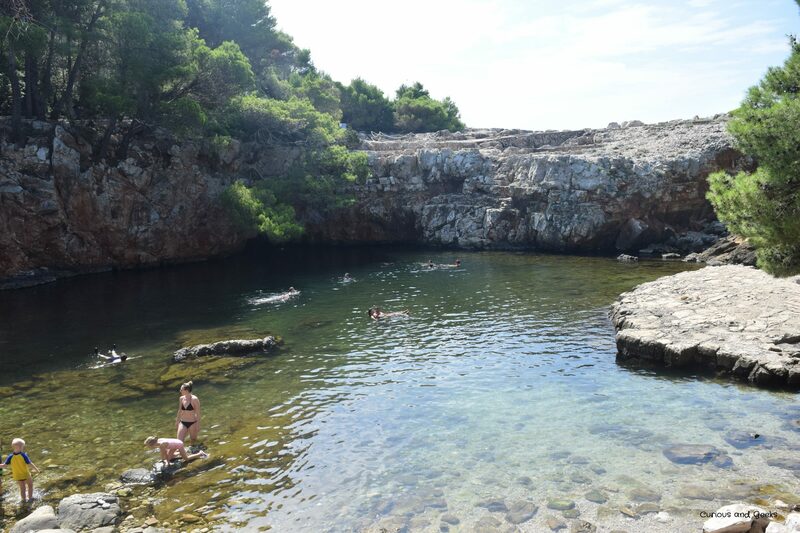 There were national parks, old towns to visit for adults and a lot of swimming involved to please the kids. After some intense research, we finally came up with a 11-day itinerary. The only things we booked in advance where the first two nights, the car and the ferry to Korcula. It is really hard to decide which island to visit, which city to skip, because they are so many incredible spots to choose from. 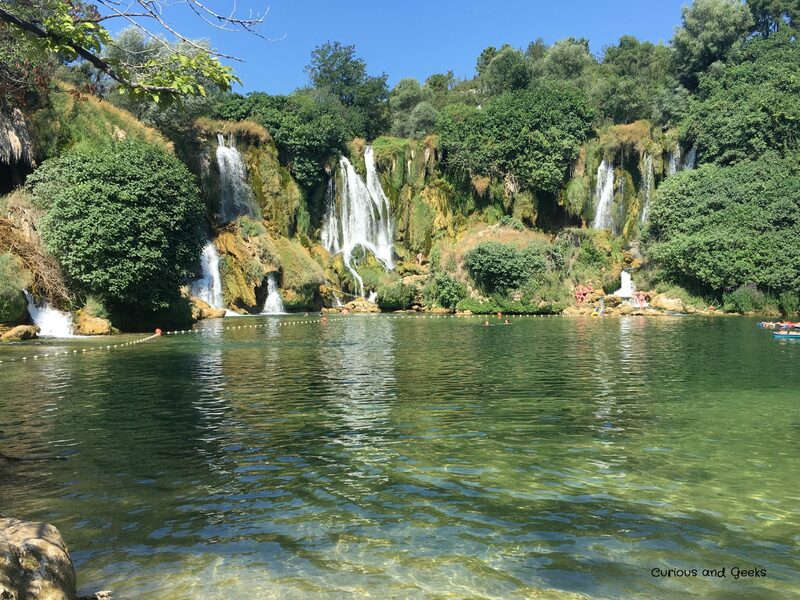 This post, hopefully, should help you find some inspiration for your upcoming trip to Croatia with your children. 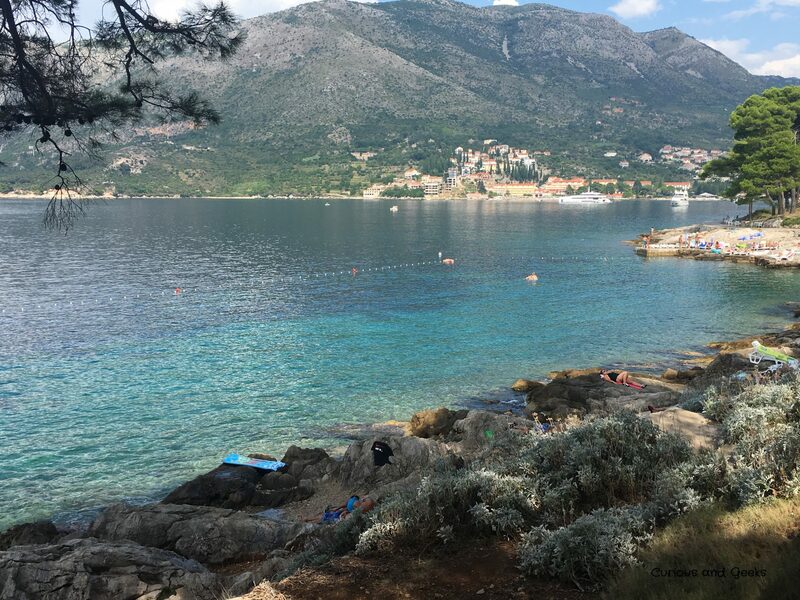 There are a lot of airports and options available when considering a road trip in Croatia with kids. Where you land also depends on which area of the country you want to visit. 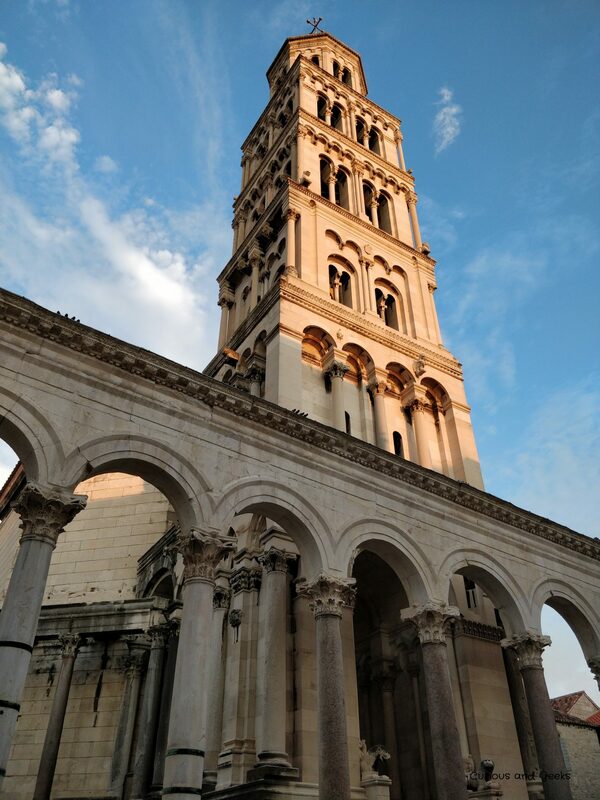 Having only a limited set of days available, we opted for Dalmatia (the southern part of Croatia) plus Plitvice and Zagreb (hoping to visit Istria during another road trip). 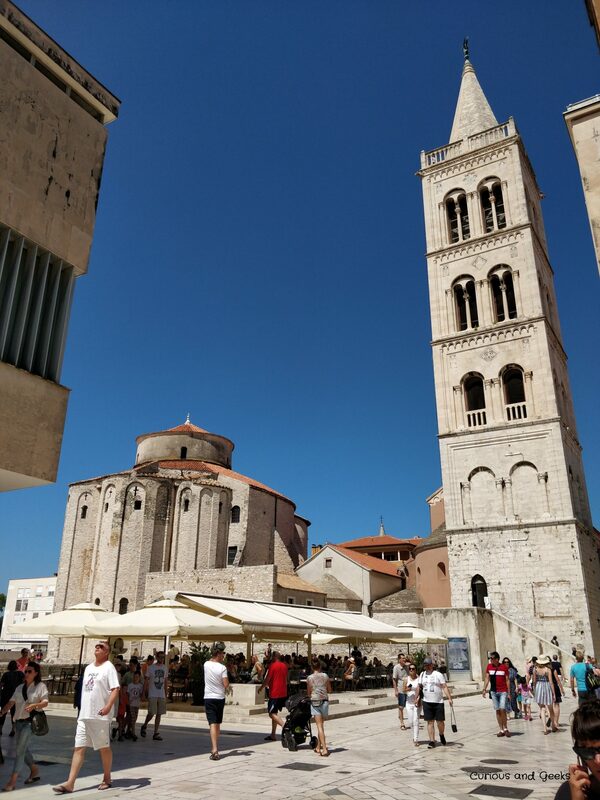 If you are leaning towards Dalmatia, then you can choose to land at Split, Dubrovnik, Zadar. We opted for a slightly different option: landing at Zagreb and leaving from Dubrovnik. That came with an extra cost (for the car and the plane) but we thought it was worth it to avoid a 6 hours drive back to Zagreb. 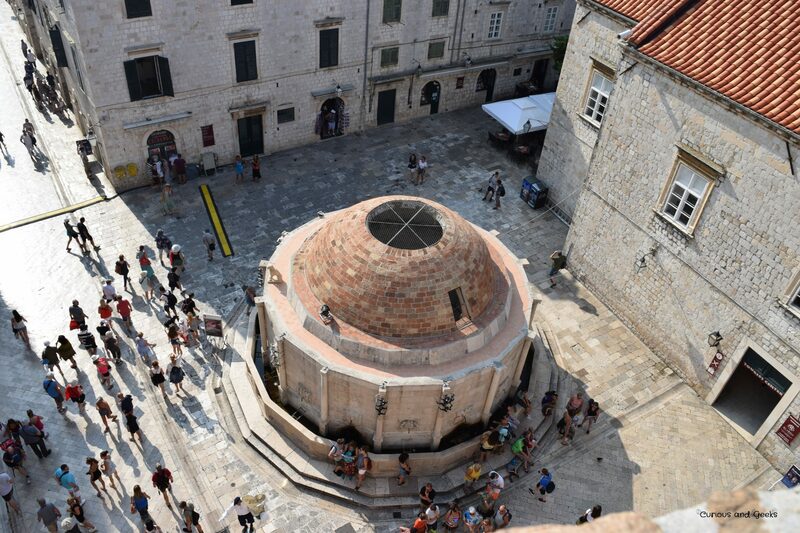 We rented a car in Zagreb and dropped it in Dubrovnik. It was a small VW. The main roads were in good condition, with a lot of brand new sections. 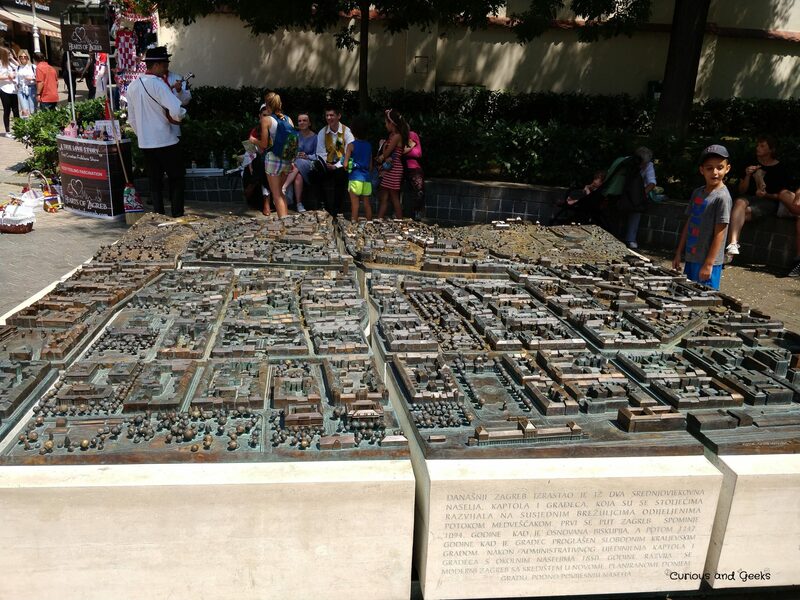 Parking lots are available around old cities but you might find them pricey (mainly in the touristy areas). The Croatian driving is not particularly aggressive. 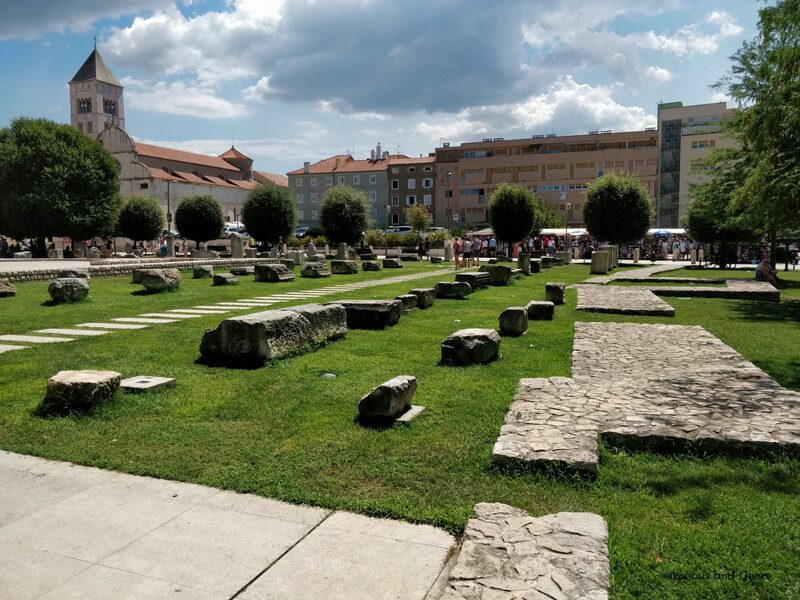 However, we really advise you to download another app than Google maps (which is not up-to-date in a lot of places, and definitely not in Bosnia!!). 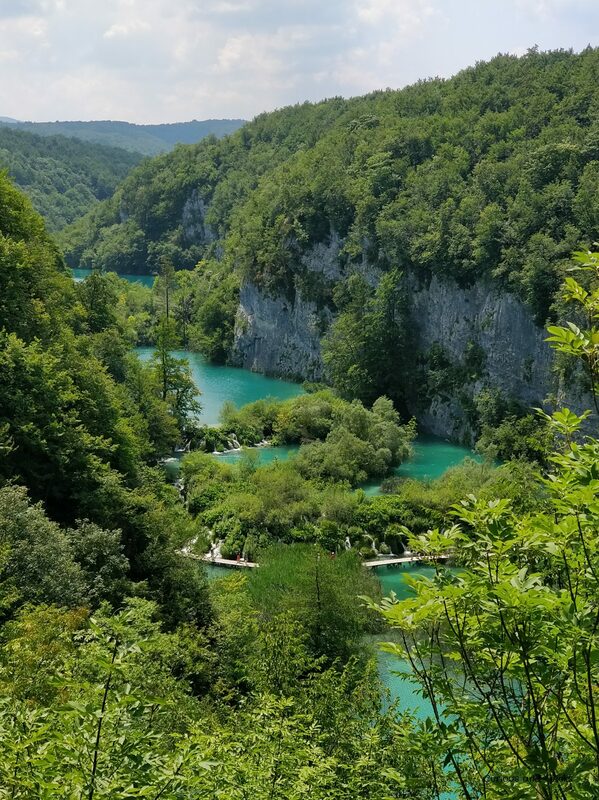 If you are also thinking about a detour to Bosnia, bear in mind that the roads are not as great as in Croatia, often narrower and the road signs are sometimes struck through oO. But with that mind, it’s still pretty doable with a compact car. You can rent those directly with your car. But check out the Croatia standards as they might be different from where you leave. 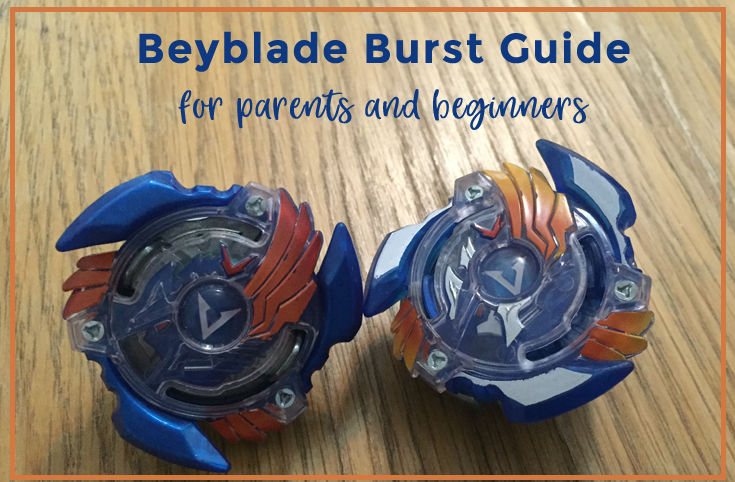 My 6 yo had a booster. And there was an issue with my daughter car seat:/ There was a baby car seat waiting for her. As we arrived at midnight, we had to wait until the next morning and before heading to a shopping center where we got her a car seat. Surprisingly, it was less expensive than the price at the rental car!! If you are not renting your car on the first day, this might be an option to think about. There are a few sections where you will be driving on mountain roads. Nothing really scary in Croatia or Montenegro. But a bit more impressive in Bosnia as the roads are very narrow and not in great conditions. Although not a problem for us, it seemed to be for my son. He was often travel sick, asking if he could open the window, or for a break. He couldn’t watch the ipad or read a book. We tried to synchronize these sections with his naps but it was not always possible. Bear that in mind if you will be traveling to Croatia with your kids. And pack some travel sickness medication. We mostly looked for self-catering places that came up with a washing machine! All the places were very clean and family-friendly. The prices were decent even though we only booked the locations one or two day in advance. 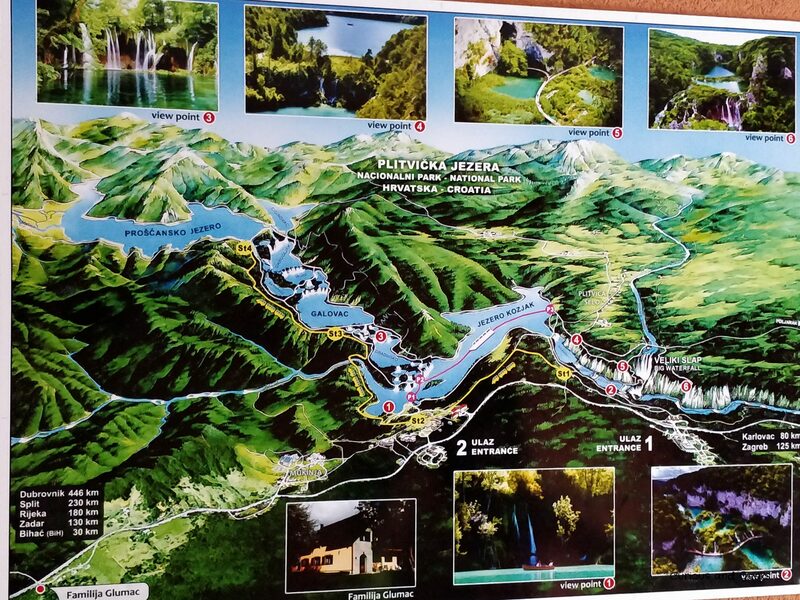 But expect to pay more in Plitvice and Dubrovnik if you want to be closer to the main attractions. Although the prices in Bosnia were cheaper, the accommodations were still great. 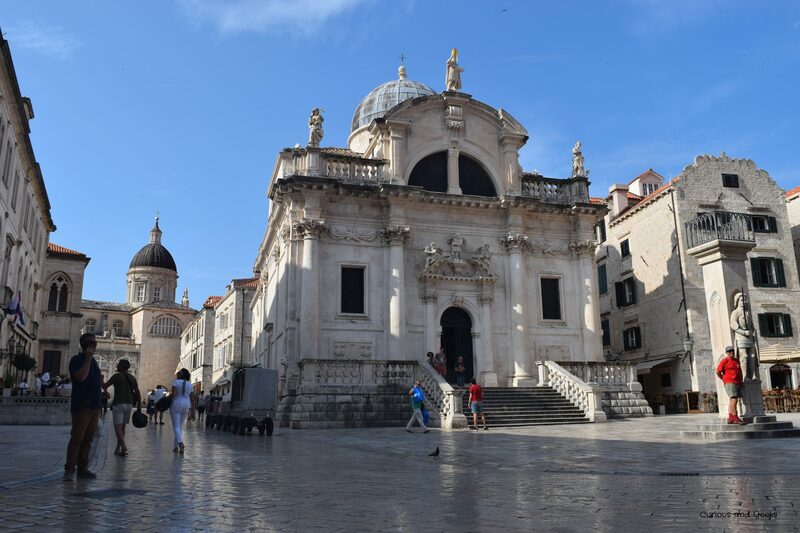 When looking for places in the touristic cities (Split, Zadar, Dubrovnik mainly), be mindful of the distance to the old city. If you need to take your car, you will have to pay an extra for the parking lot, and this can add up pretty quickly. 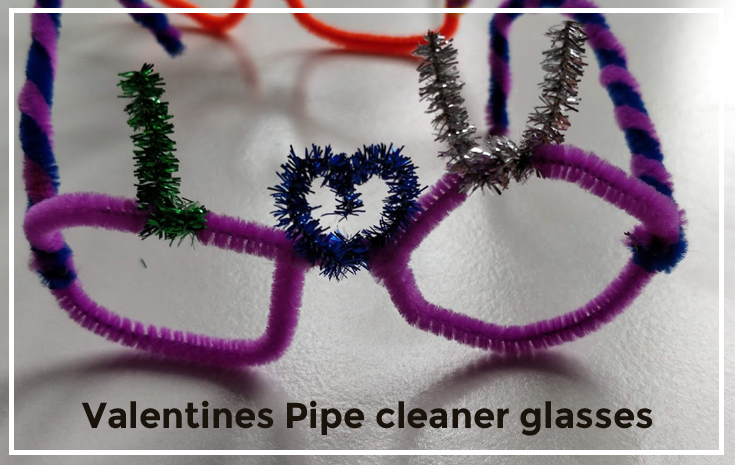 For each step of this road trip, we have included in this blog post, the location we stayed in and the pros and cons if any. It is quite easy to find something to eat in Croatia even for kids. The food has a strong Italian influence. You will find pasta and pizza, sandwiches, salads everywhere! Do not miss out on the fresh fish and sea food and let the kids try out the Cevapcici. Be ready to try a lot of ice creams! They cost between 8 and 12 krunas depending on the region (that’s almost a pound) and they are pretty big! Stop by the little markets as well for some fresh fruits: strawberries, raspberries and figs, oh I really miss the figs. 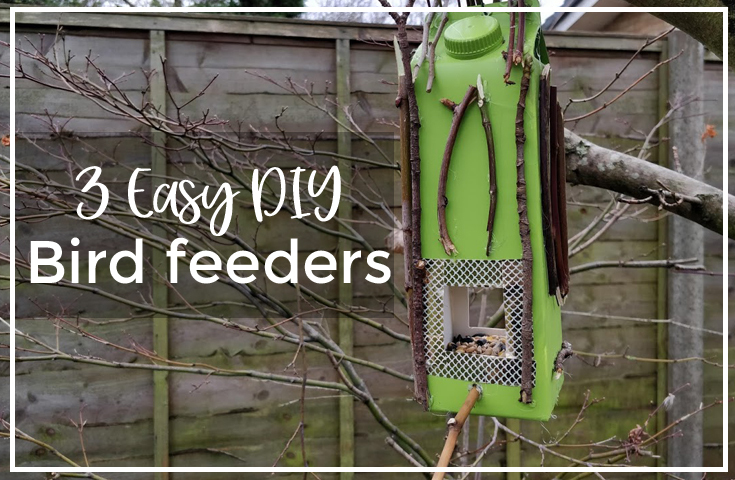 If you have really fussy eaters, you will find everything you need in supermarkets, even nuggets!!! If you are visiting Croatia with kids, you will need to be mindful of the weather. The temperatures can be quite high. Our max must have been 36°C. But it was not unbearable though. We had the AC in the car and tried to schedule one beach per day (or one waterfall :p) every time we could. To help with the heat, you will find that ice-creams help a lot! But also water fountains. Don’t forget to refill your bottle at the water fountains where you will find fresh water!! There are so many everywhere and it’s so useful as the water tends to get hot really quickly. Also protect your kids from the sun with a lot of suncream and hats! Before Croatia, we were never really fond of pebbles. We always tried to look for sandy beaches where the kids could run and build sandcastles. But Croatia made us reconsider that! With appropriate water shoes and the crystal clear water, pebbles beaches turned out to be quite nice actually. One of our host told us she hated sand beaches, because she always had more cleaning to do afterwards, with sands on the towels, on her hair, on the kids toys, on the feet. And she was not wrong! You will find a lot of amazing crystal clear, and shallow beaches where the kids can swim and play. The water is so transparent that you won’t even need a snorkeling kit to see the fishes. Plus, a lot of beaches do have water structures that kids can try. We stopped by a lot of beaches (sometimes, several a day) and here is a sneak peak of some of our favorite ones. After a quick night at a B&B, we went looking for car seats before heading to Zagreb’s center. 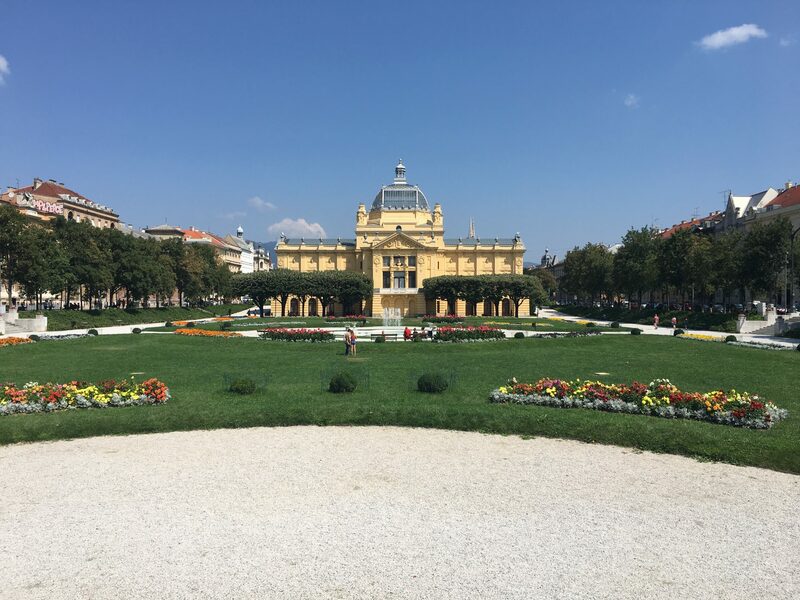 We were surprised to see very few tourists in Zagreb and yet this city was amazing in so many ways. 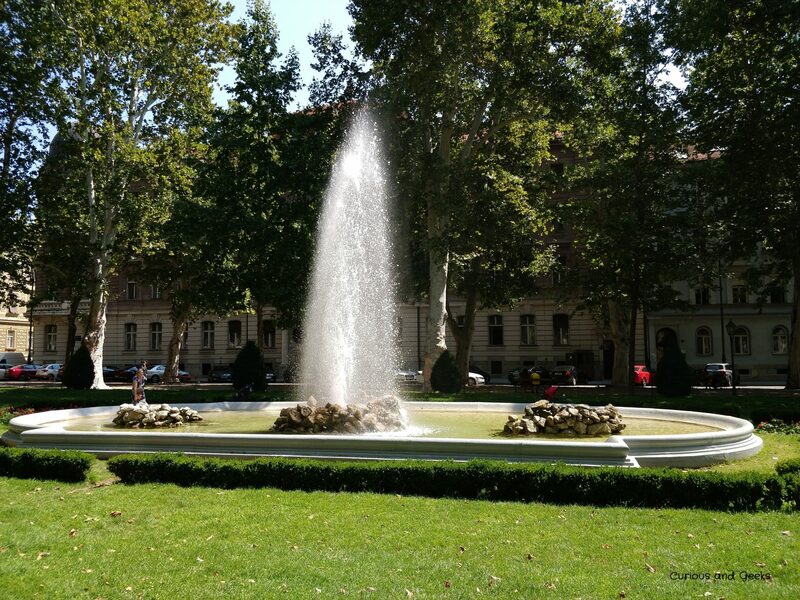 We wrote a detailed post about our favorite spots in Zagreb. 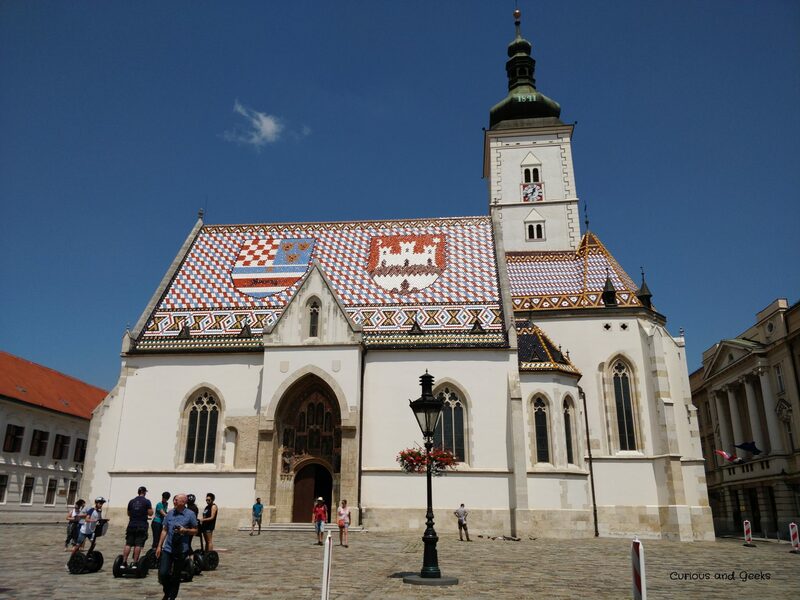 Zagreb will give you a complete different view of Croatia that the one you will get in the more touristy areas. Do not miss it if you can. 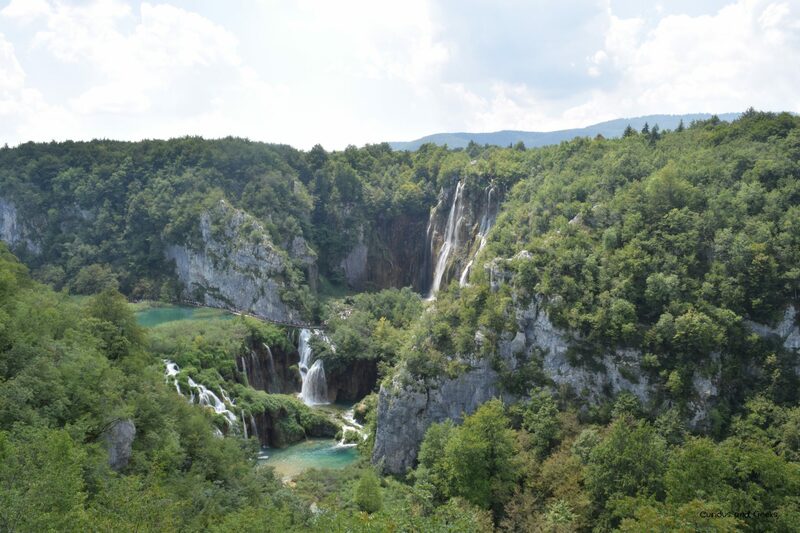 Around 5pm, after a short detour by the airport to get our luggage, we started our journey to Plitvice. Where to stay: After a two hours drive we arrived at Rooms Family Glumac. We choose this place to be very close to the entrance of the park. We did not try the breakfast but the hotel was very quiet. We read so much about this park that we were afraid to be disappointed. Guess what? We were not!!! The views were stunning, the color of the water fascinating. We got to see loads of fishes, snakes, dragonflies,etc. This one of our favorite days in this road trip in Croatia with our kids. To make the most of our day, we were at the Entrance 1 at 7 am but there was already a 40min queue. As we wanted to see both the lower lakes and the upper ones, we chose Trail C. We started it just before 8am and were back at the parking lot around 2pm. The trail was truly great! We walked 11km but I had to carry my daughter for an hour or so. It was a bit too much for her and she took a very long nap afterwards. 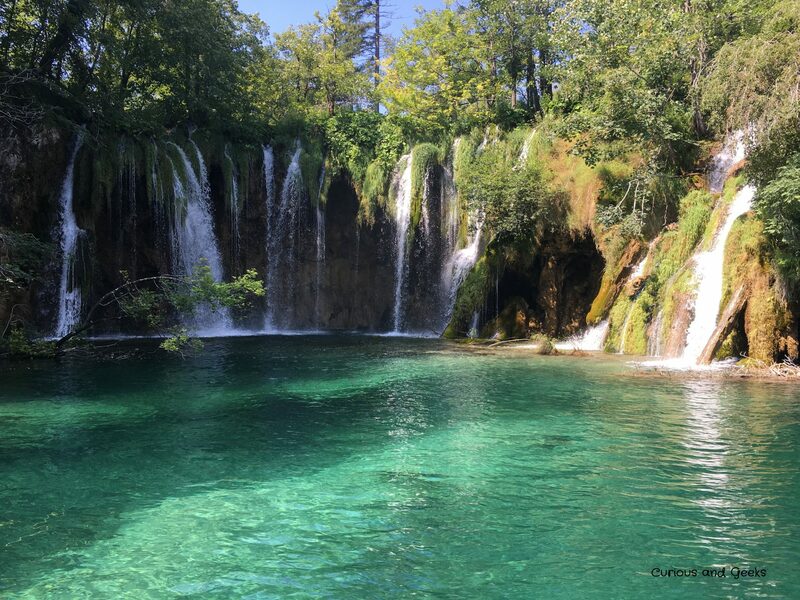 Check out our Plitvice tips, if you are thinking about spending a day in this amazing park with your kids. By the way, you definitely should as this one of the highlights of our road trip in Croatia. 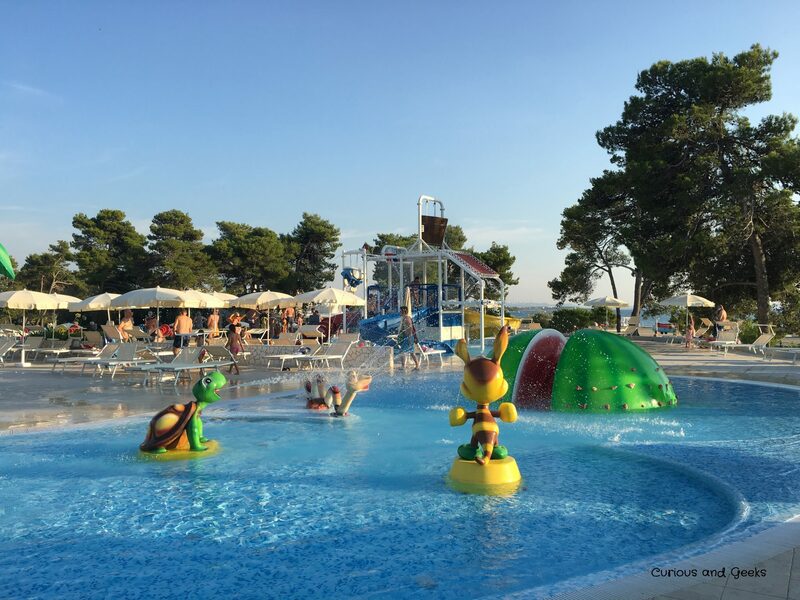 In the afternoon, we went to Zaton beach where we managed to get into a water park. It was meant for the people in the camping but the guard let us in as it was late (6pm). The kids loved the place and didn’t want to leave. 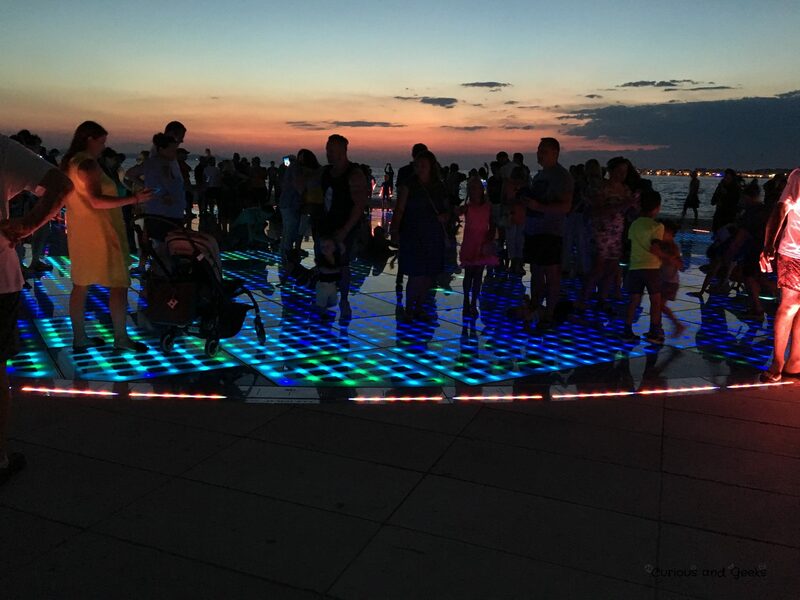 We then headed to Zadar for a quick visit to see the sunset. Zadar was very busy. But watching the sunset on the Greeting of the Sun monument was worth it. 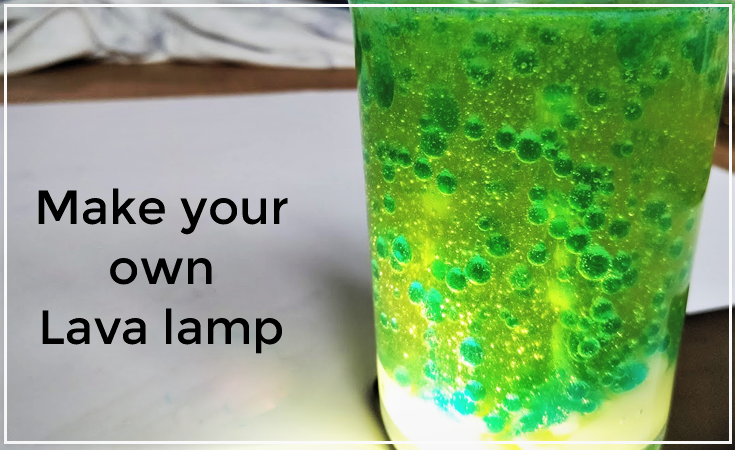 You should definitely add that to your to do list! 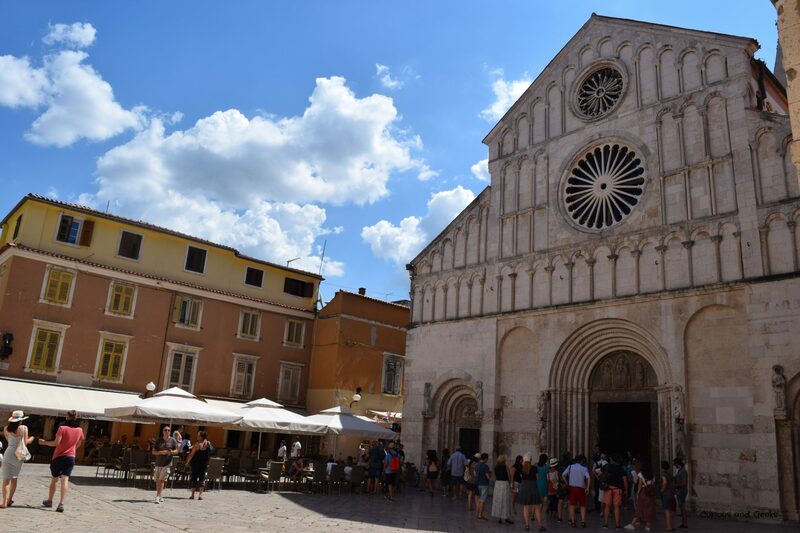 Where to stay: The apartment, Apartment Bonda, we booked was close enough to Zadar’s old town, and the host was very helpful. We suggested beaches to try out with the kids and restaurants to eat at. 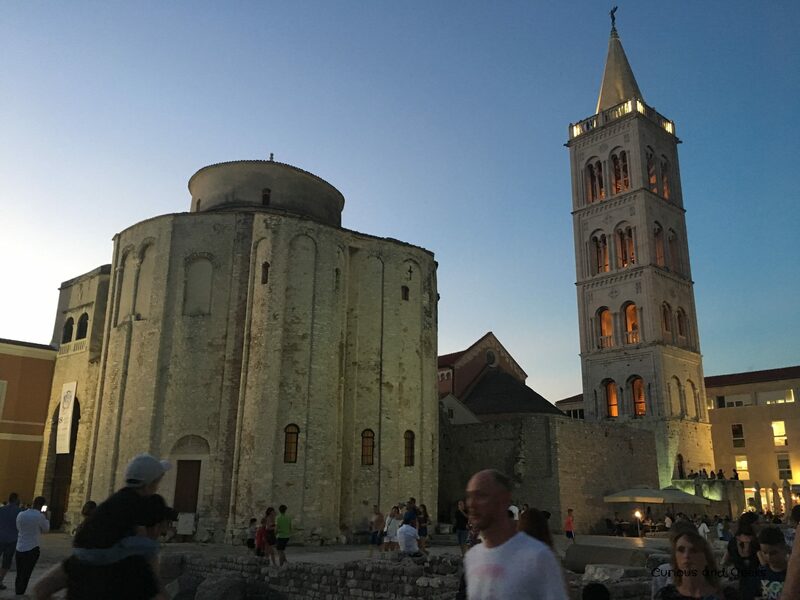 We decided to visit Zadar early in the morning to avoid the crowd we met the previous day. We let the kids choose one activity and they opted for the Museum of Illusions. Zadar museum was a bit more expensive than Zagreb’s and was not very different. It didn’t seem to annoy the kids who played there for a while. 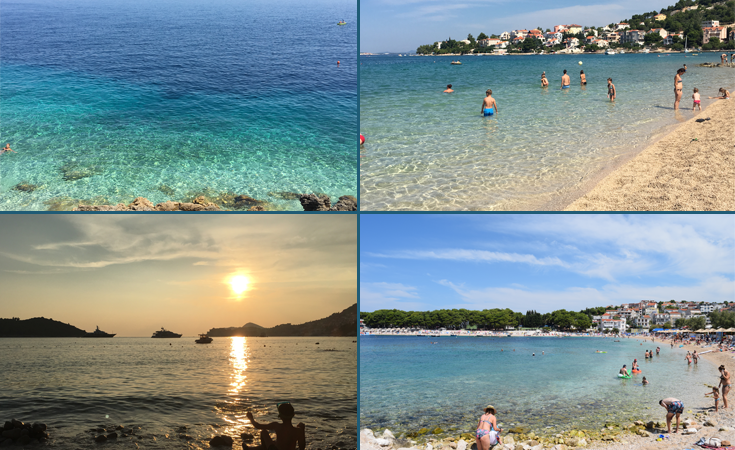 Between Zadar and Sibenik, we stopped a couple of times to enjoy the Croatian beaches. 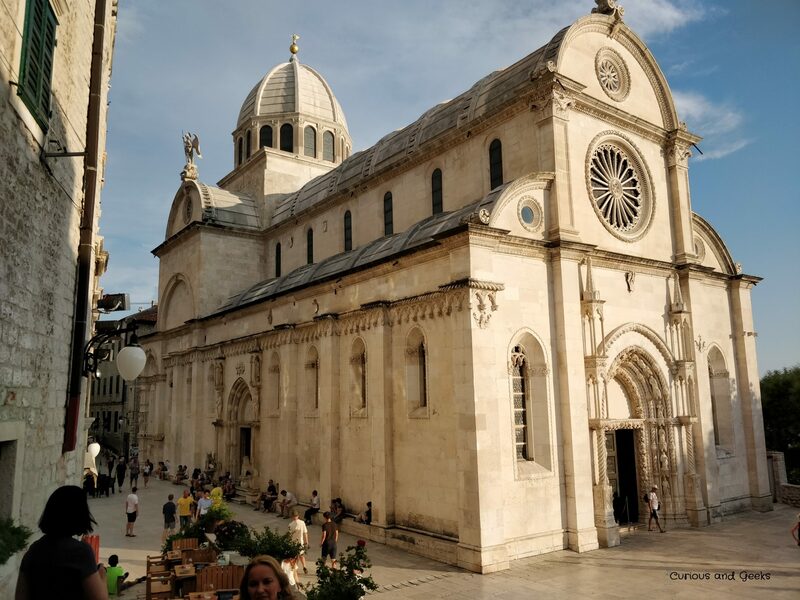 Where to stay: In Sibenik, we were very lucky to find an apartment – Apartman Luna – within walking distance to the old town. 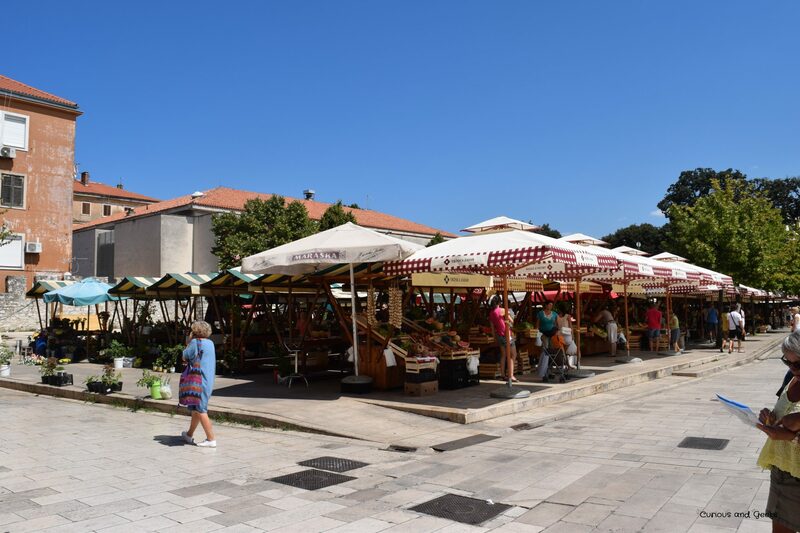 It came with a free parking place (5 min away from the apartment) and was close to a supermarket, Sibenik market and a bakery. We woke up to a cloudy and rainy day, but chose to go to Krka regardless. It rained so much that we spent more than an hour hiding between the restroom and a coffee, but luckily the sun was back around 12pm. 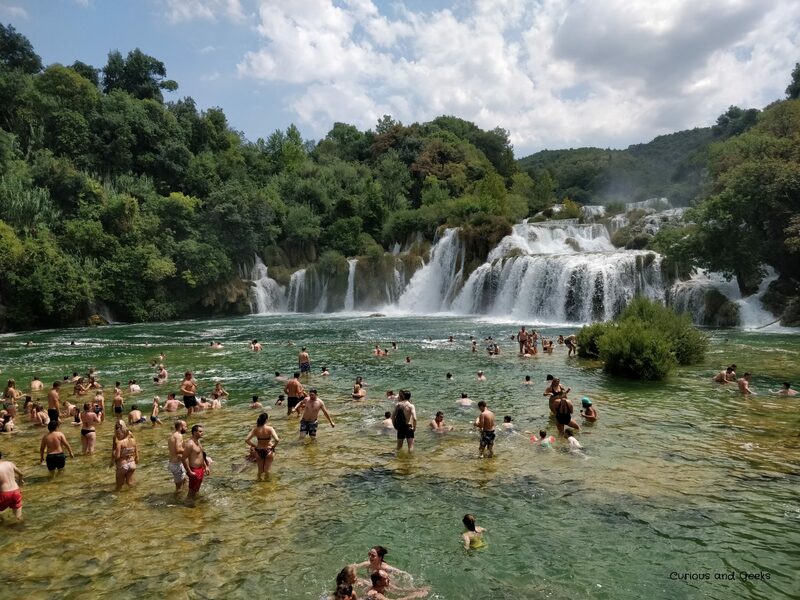 We managed to swim at Krka waterfall but beware that the rocks are very slippery and it is not easy to enter the water with young kids. There was also a stream that was pulling us toward the waterfall and my son didn’t enjoy swimming in there. After a quick visit of Skradin, we headed back to Sibenik. It was one of my favorite town, it was quiet and we were often alone in some of its narrow streets. 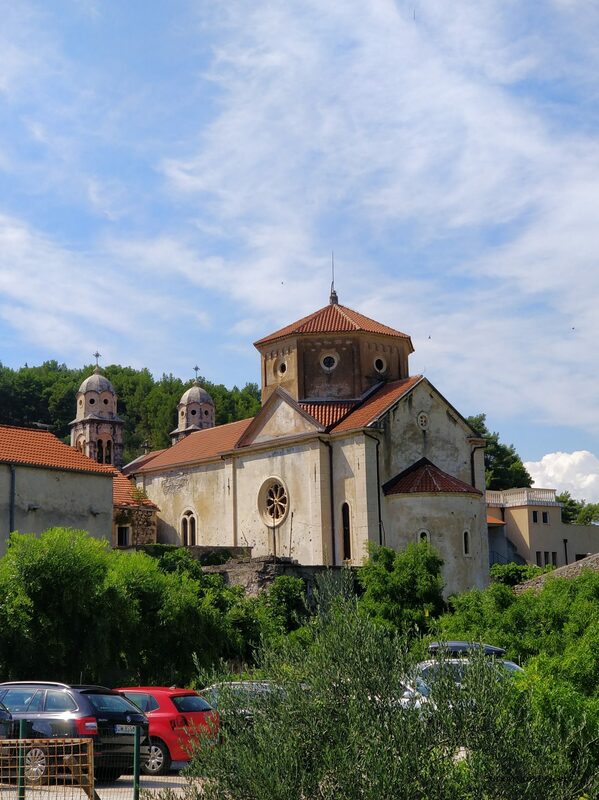 It has two monuments on the UNESCO lists, the cathedral of Saint James and the Fortress of St Nicholas. 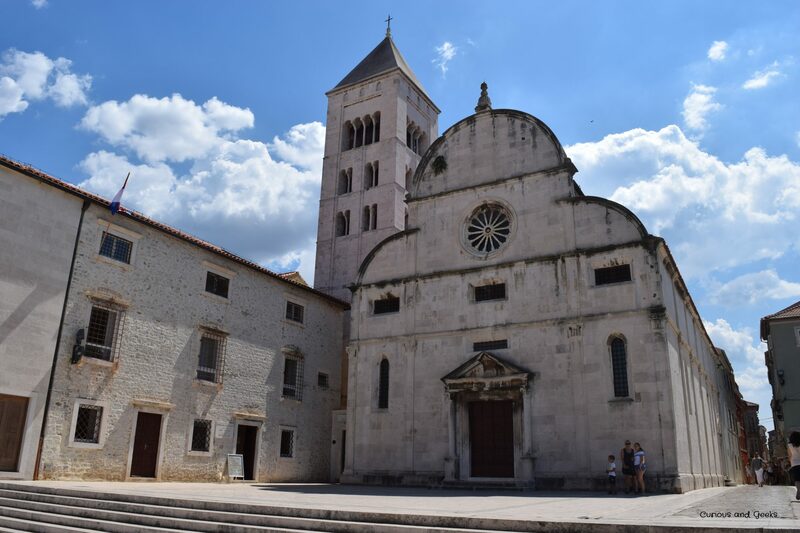 Where to stay: We stayed two nights in a row in the same apartment in Sibenik, which was very convenient to wash our clothes, rearrange our luggage and rest a bit – see Day 03. The road from Sibenik to Primosten follows the sea and offers stunning views. There were many beautiful beaches and coves with turquoise water. We stopped at Primosten for a quick sip in the water and to visit its old town. Again the town was almost empty around lunch time. 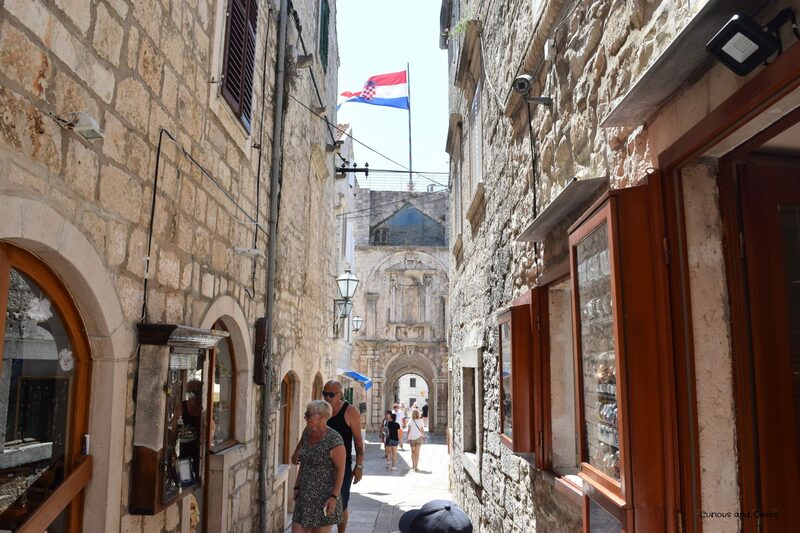 We then headed to Trogir, where we spent a couple of hours strolling around and enjoying ice creams. We ended the day by what became a tradition in this Croatia with kids road trip. A stop by a beach! In fact even two. 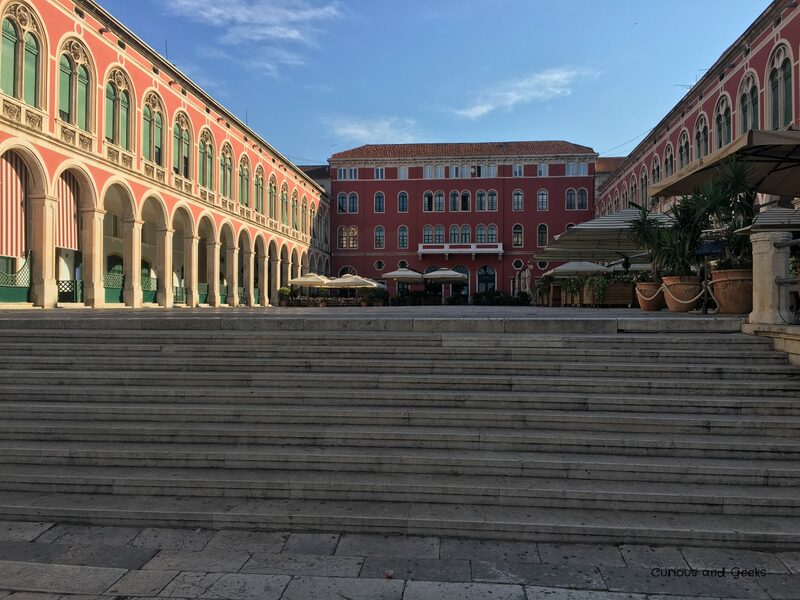 Where to stay: We chose to stay very close to Split’s old town to avoid having to look for a parking spot near the center. 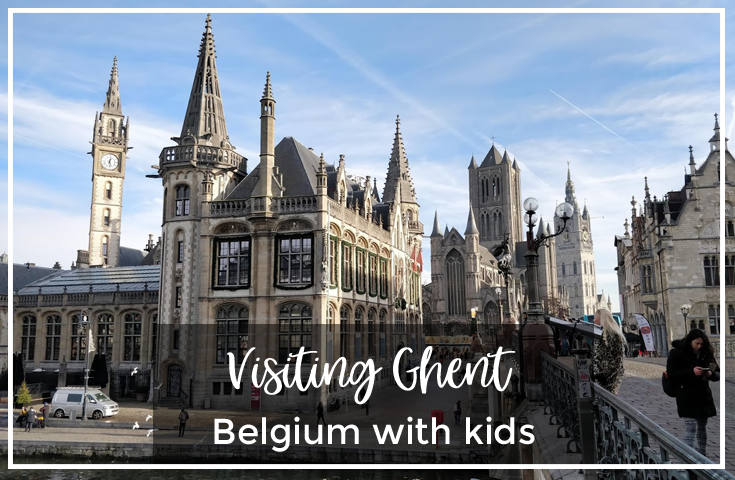 The apartment – Pavelin apartments – was at 15 mins away from the old town and we were able to park for free in the street as it was during the weekend. Similarly to Zadar, Split was quite busy when we visited on the first evening. 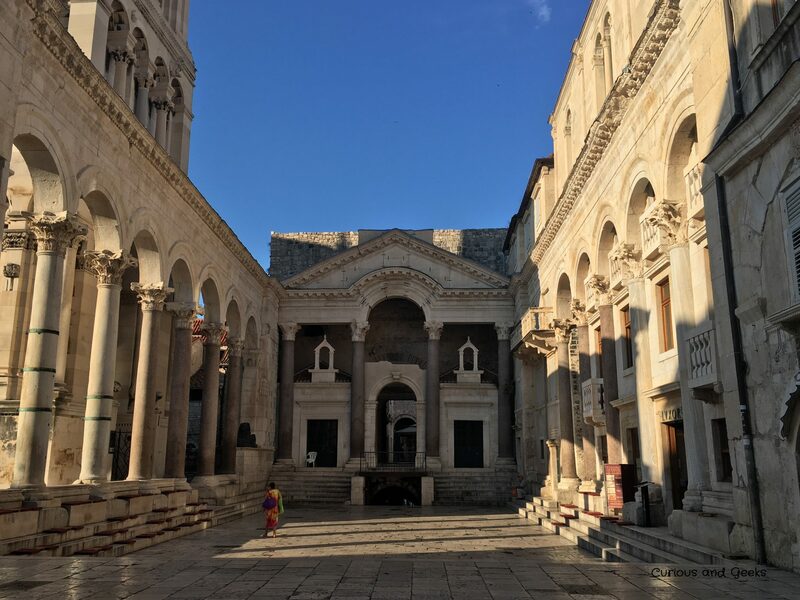 We visited the basement, the Diocletian’s palace and wandered around. 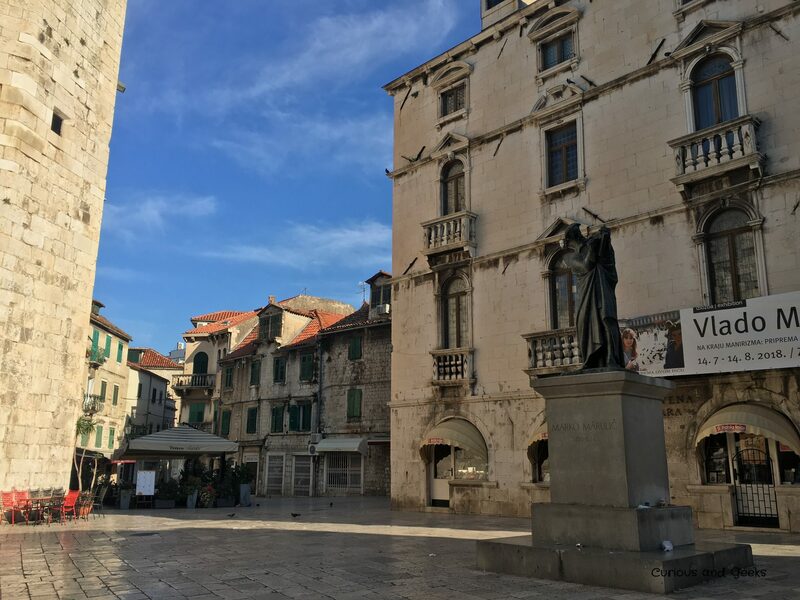 The next morning, I went alone to Split around 6:30 am and visited the old town until 9 am. If you are morning person, you should do that as well. You will have all the old city for yourself! I climbed the bell tower and the views form upstairs were amazing! But do not forget to bring a snack or some water! In my excitation, I totally forgot to bring water and found myself a bit unwell once at the top. 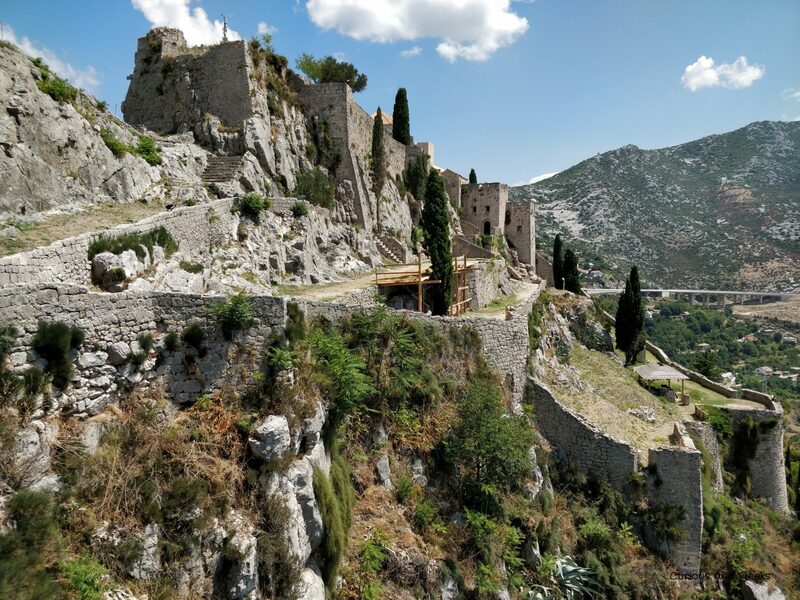 We then went to Klis Fortress for some Game of thrones time. And finished our split visit, by a little hike to the Marjan hill. Do not skip the park if you get the chance! Our ferry to Korcula left at 5:30pm. I was a bit worried that my son would be sea sick, but the ferry was so big that we didn’t feel the waves. 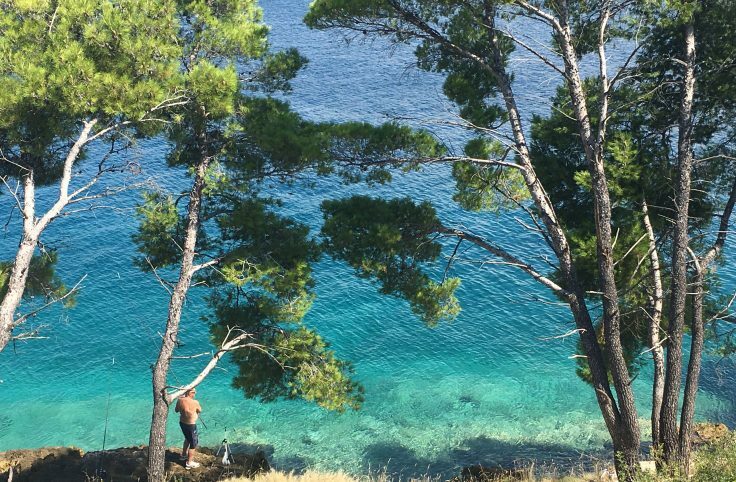 Where to stay: In Korcula, we booked an apartment near the sea in a small and peaceful village. We didn’t get to enjoy the view on the first day as we arrived late at night but what a surprise we had when we woke up. The beach was literally 30 meters away – Apartments Korkyra. Before heading to Croatia, we spent so many time deciding which island we should visit. They were pros for each and every single island. the last three on our list were: Vis, Korcula and Bràc. 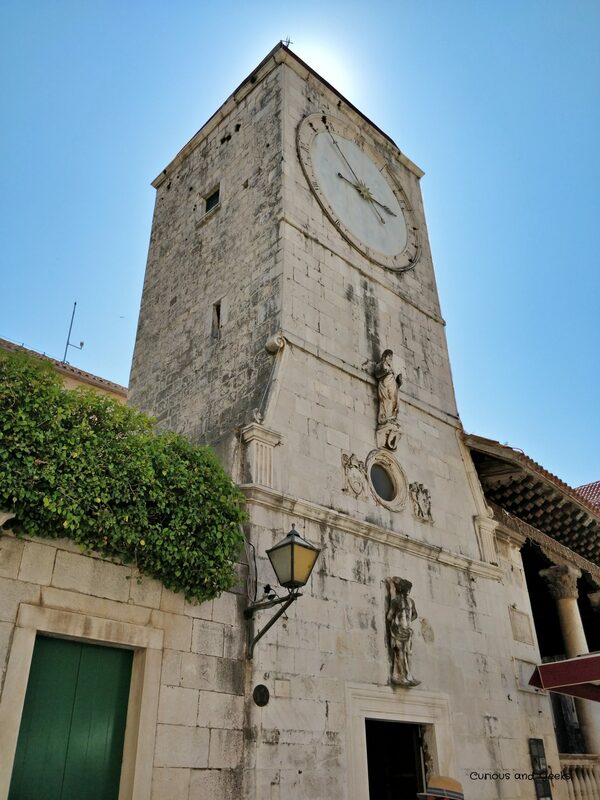 As I couldn’t choose, Hubby opted for Korcula as it was the one that fitted the best in our overall itinerary. Vis would have required some backtracking to Split and Bràc would have made the trip to Bosnia longer. 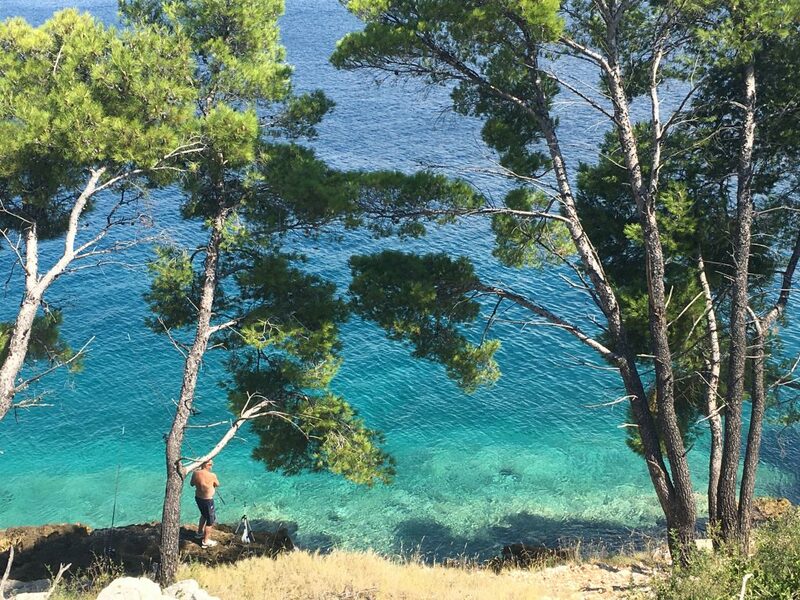 We only spent one night in Korcula and it would have deserved a bit more time. The beach we went to in Prigradica was breathtaking, its color were exactly the ones we saw in the advertisement for Croatia and didn’t want to believe. We spent the morning snorkeling and none of us wanted to leave. Croatia with kids didn’t disappoint!! 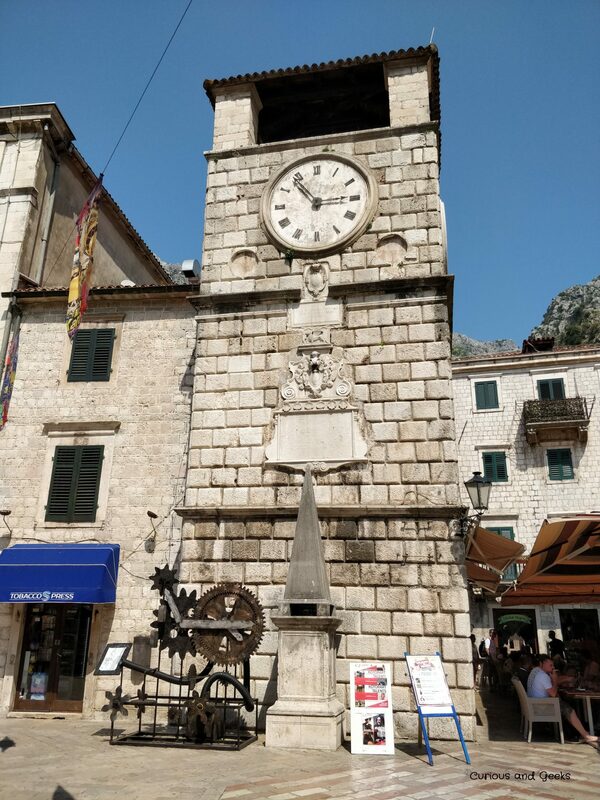 We then headed to Korcula old town, which was lovely and drove accross the Pelješac peninsula – we didn’t spend that much time in the peninsula as it was raining. 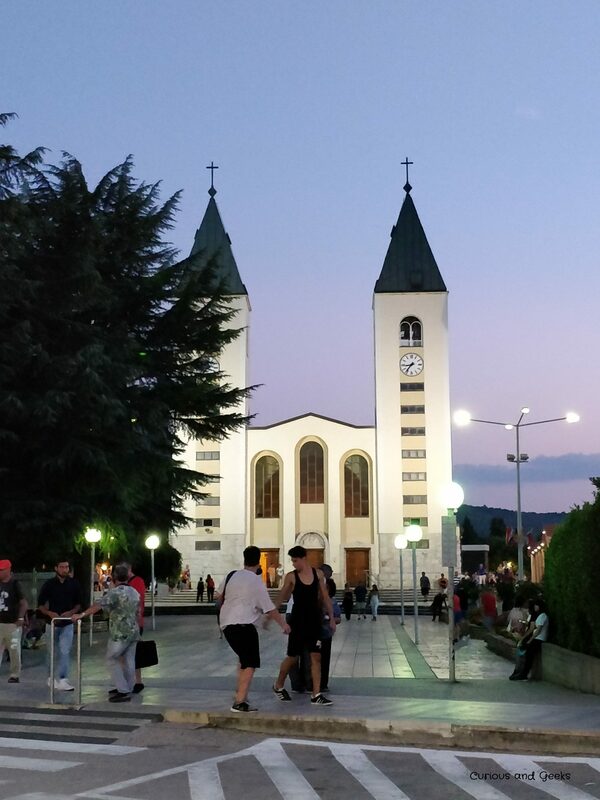 After a very long and tiring drive through mountain roads we reached the picturesque Pocitelj and spent the night in Medugorje. 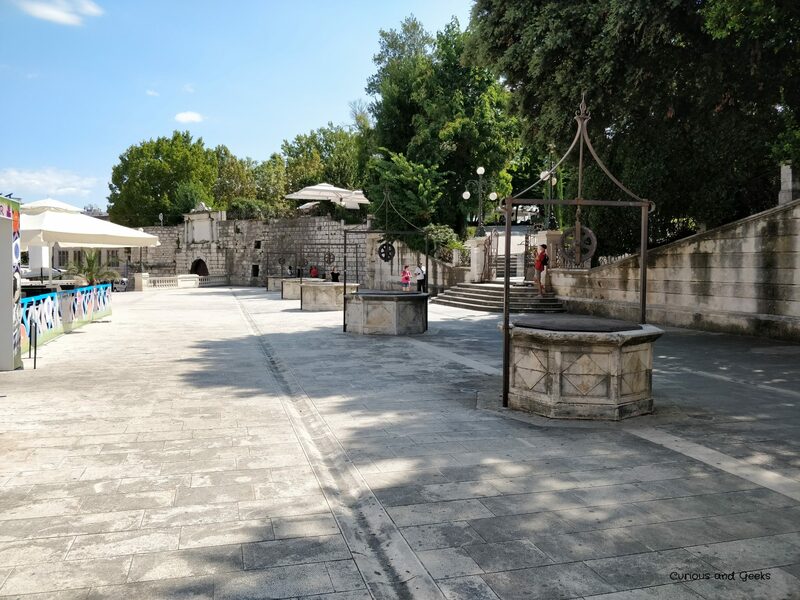 Where to stay: We booked this hotel in Medugorje, at the last minute as we were not sure how long we could drive for. The kids really wanted a hotel with a swimming pool and as it was a long and tiring day, we thought they were right. We found a last minute deal on booking for a hotel with a swimming pool and breakfast included – Hotel San. 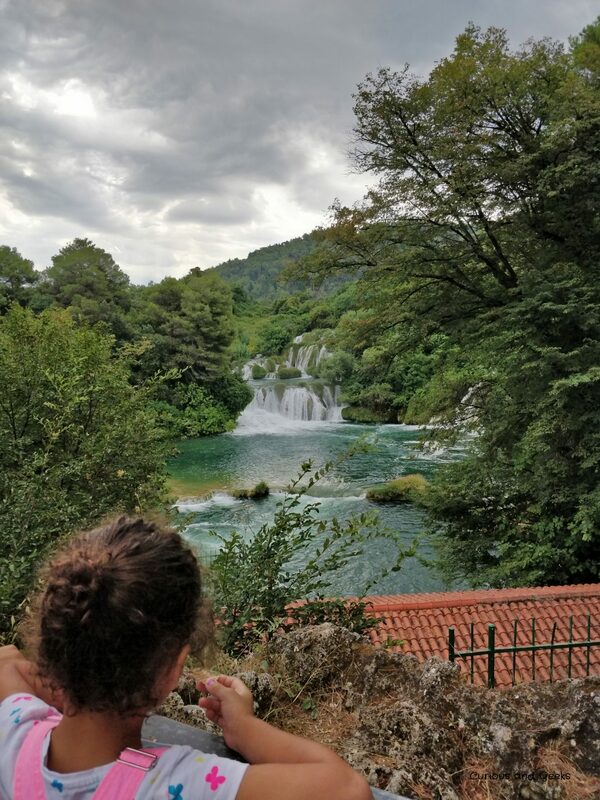 We started the day by a visit to Kravica Waterfall, which was the kids favorite place (after the beaches of course). They loved it there was a big shallow area they could swim in. The water was clear and they could see the fishes and try to catch them. 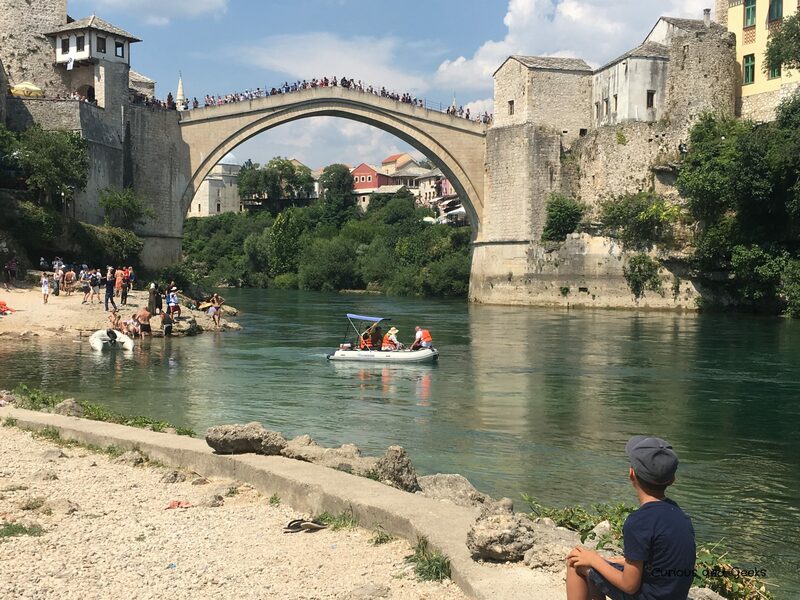 We then headed to Mostar to see its famous bridge and were lucky enough to see some people jumping from it. 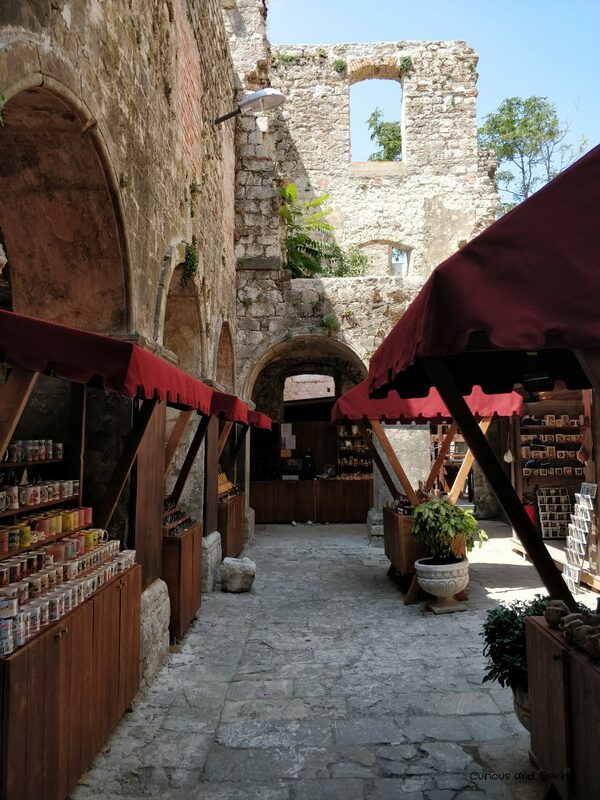 Blagaj and its Muslim monastery didn’t not disappoint. Trebinje, which was not in our initial plan was also very nice. The old town was small but there was a garden nearby with a playground and loads of free space for kids to run around. Where to stay: We also booked this apartment – Apartment Andjela – at the last minute as we initially planned to drive until Kotor. But we were too tired and decided to visit Trebinje instead. The apartment was big and very well organised. 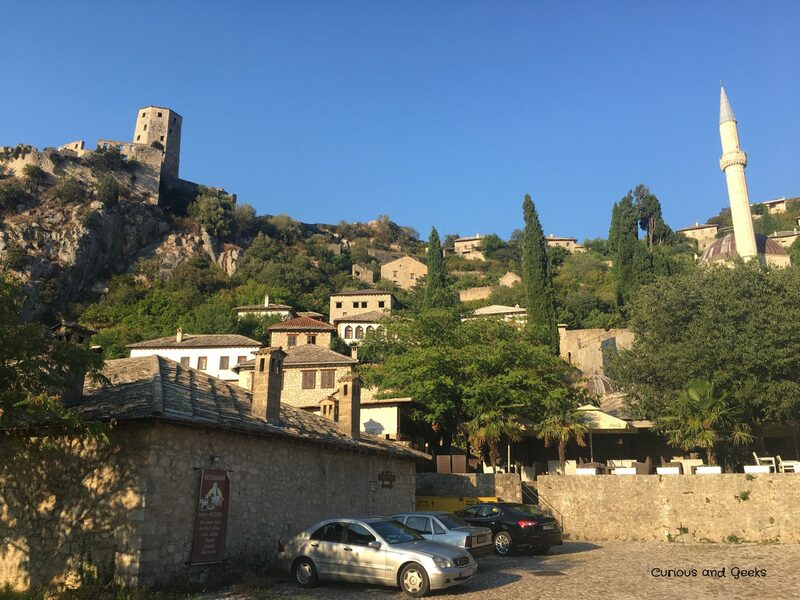 There are two roads from Trebinje to Kotor and our host suggested to go through the mountains. We were not disappointed at all as we got to follow the river, cross a lake before reaching the stunning fjord of Kotor. 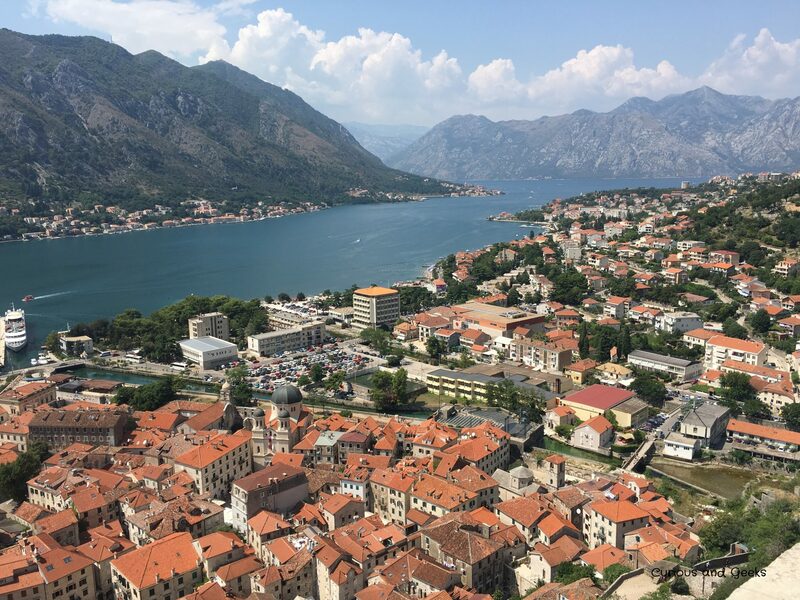 In the Kotor bay, there is only one road – paved two ways road – that goes through a succession of small villages and towns before reaching Kotor. Needless to say it gets very busy. However there is a special feeling that makes it magic, you are surrounded by huge mountains while driving 50 meters away from the water. We felt so tiny and yet so fascinated by this area. Kotor was also very nice to visit and the climb to the fortress although tiring, offered stunning views of the fjord. 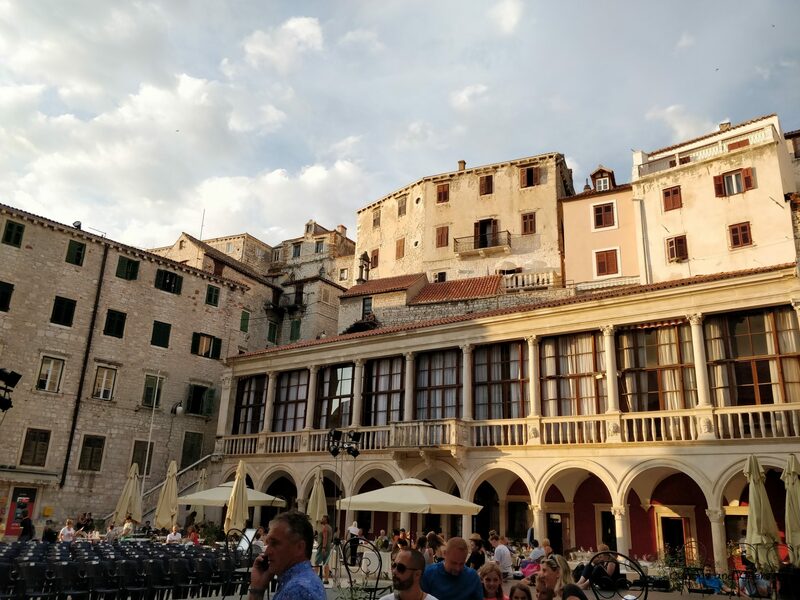 Where to stay: For our last two nights, we found an apartment in Dubrovnik – Romance Apartment Dubrovnik – 15 minutes away from Pile Gate. 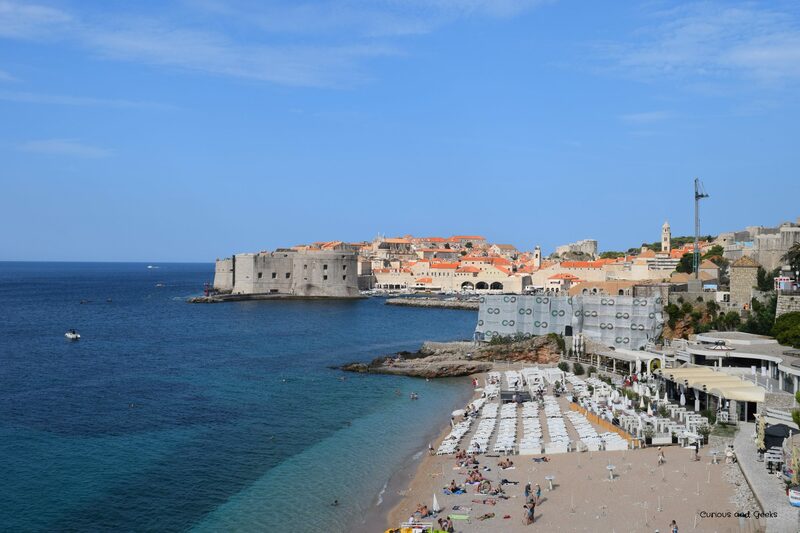 The apartment was brand new and there was a free parking which is extremely rare for apartments in Dubrovnik. 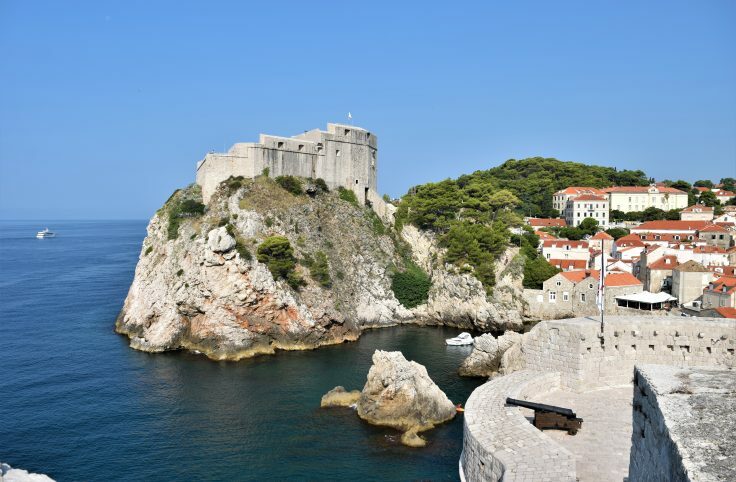 As we are fans of Game of Thrones, we went for a self guided tour of Dubrovnik. 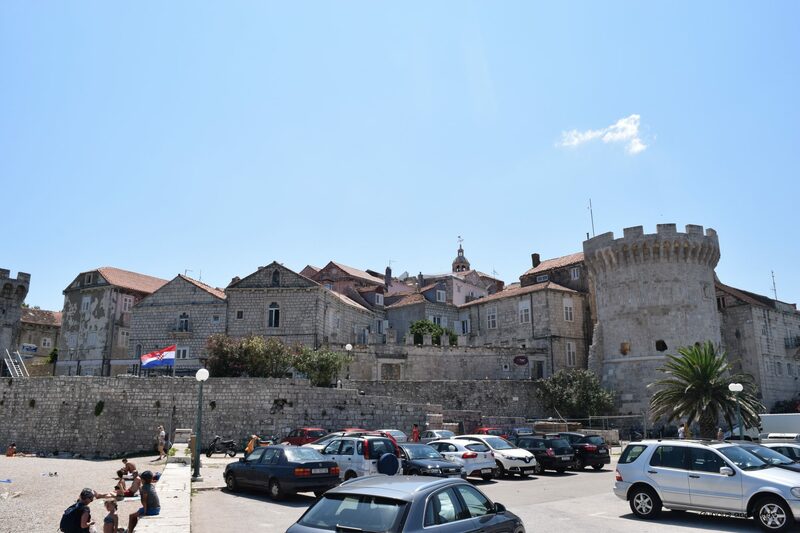 We bought a 1 day card and visited the city walls, the rector’s palace and Lovrijenac. 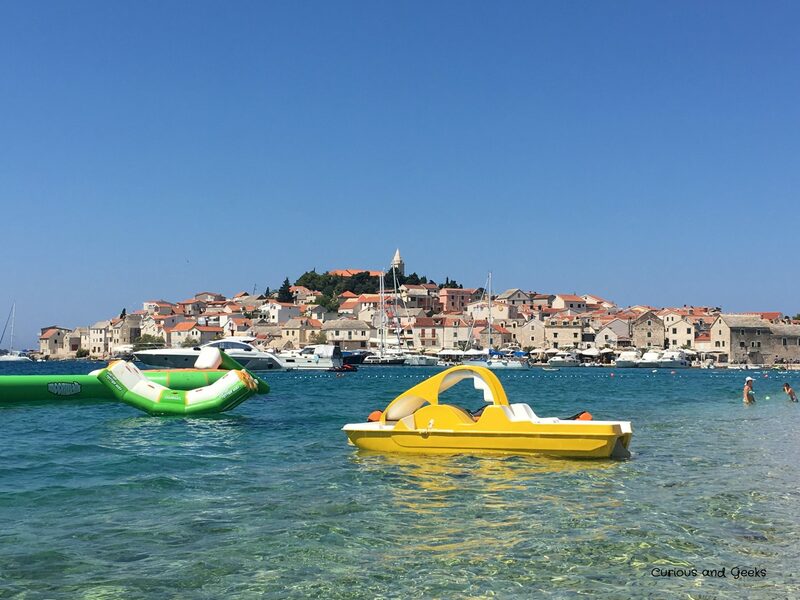 We then took an Uber to the Belvedere hotel and stopped for a swim at Sveti Jakob’s beach. Because our flight back was only scheduled at 6:30pm, we decided to go to Lokrum, the closest island to Dubrovnik. It is also featured in GoT. The ferry takes 15 mins from Polce gate and there are ferries every half hour. 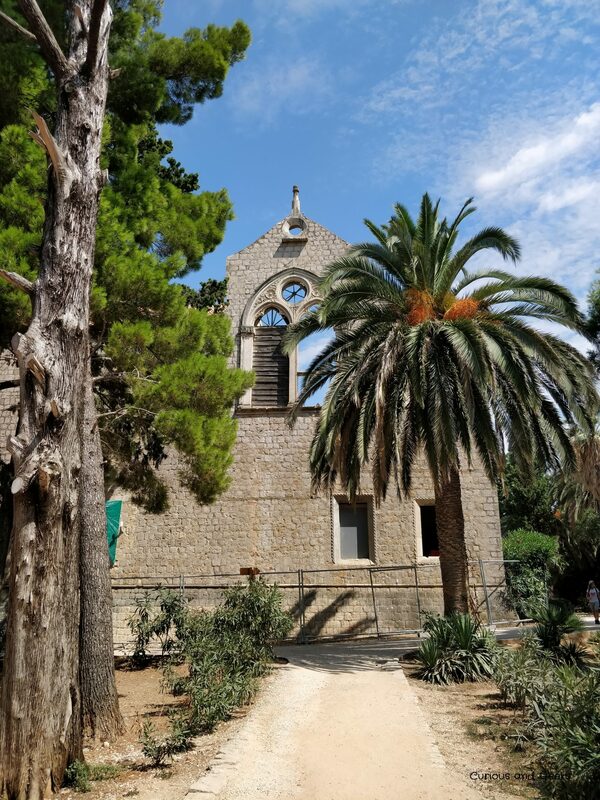 We spent a couple of hours in Lokrum, saw peacocks, visited the Benedictine monastery and the dead Sea. We then headed to Cavtat for a last swim in the Adriatic sea. 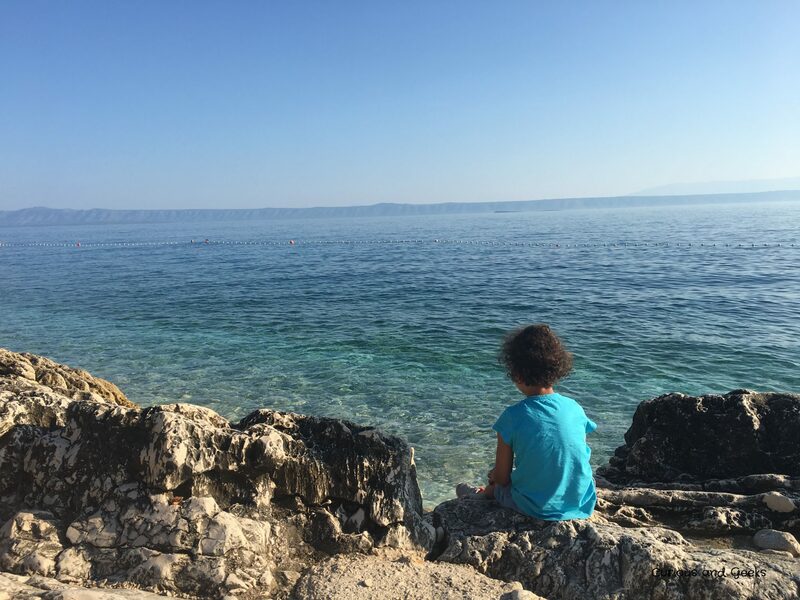 It was the perfect ending for our Croatia with kids road trip. That’s it for our trip in Croatia with our kids. 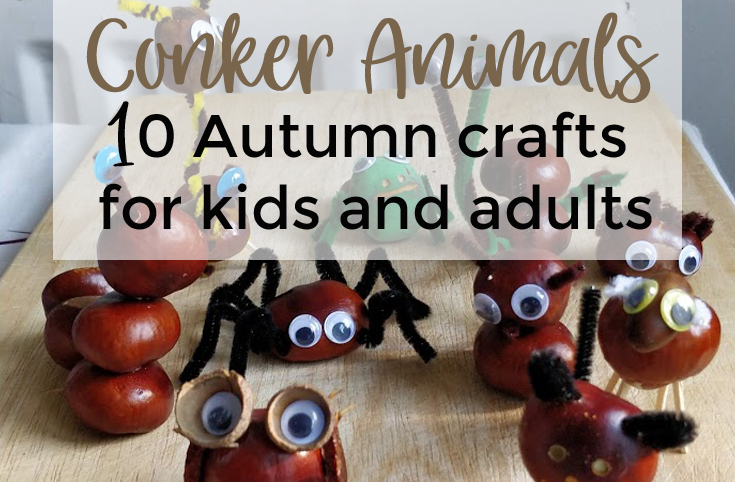 Overall a great experience we definitely recommend to families. 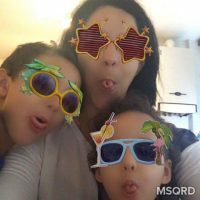 In case you are interested, here is what we packed for this road trip Croatia with kids.